Horner Painting proudly provides premier painting services for residents here in Loveland. We offer both interior and exterior painting services, alongside a variety of other services (including repair and maintenance services), so that you can give your home a complete upgrade in one fell swoop. Or, if you prefer, you can customize our services to your needs — there’s no job too big or too small for the crew here at Horner Painting. Here’s an overview of our painting services and additional services. The interior of your home provides its character. That’s why a simple coat of paint can have a major impact. At Horner Painting, we understand how important paint can be for the look and feel of your home. That’s why we aim to help you settle on the perfect color, and then we’ll get to work applying the perfect coat. With all of our paint jobs, we take pride in providing thorough painting with clean lines and a consistent coat. When Does Your Home’s Interior Need a New Coat? Often, we find that folks need a new coat of paint in their home for one of two reasons: Their current paint is old and outdated, or they simply want to update the aesthetic of their interior. It’s always a good idea to give your home a new coat of paint if your walls are faded, dirty, and discolored. Or, you may consider painting your home if you recently purchased it, or if you’re putting the home on the market (a new interior can add value to your home, and it can entice buyers). Regardless of the reason why you’re having your home’s interior painted, we’re the crew to call. We’re ecstatic to be Loveland’s source for your interior home painting needs. We make painting pain-free. Our process is simple. First thing’s first, we’ll provide you with a free estimate and information on our comprehensive warranty. From there, we’ll work with you to determine the perfect colors for your interior — if you’d like help. Next, we move large furniture and protect your surfaces to ensure that paint ends up on your walls, and nowhere else. Next, we’ll repair your surfaces as agreed in our estimate. We can patch damaged walls, prime smoke-damaged surfaces, and more. Then, it’s time to paint. We strive to paint your walls efficiently, so that you can settle back into your home as soon as possible. Once your project is complete, we’ll move your belongings back to their original positions, and we’ll leave your home as clean as it was when we arrived. We also perform a detailed inspection of our work to ensure that your coats are consistent, and no detail is missed. Horner Painting isn’t just another painting contractor company. We truly care about our clients and our quality of work. That’s why we back our jobs with a five-year comprehensive warranty. Simply put, if there’s a problem with our interior painting job, we’ll fix it — that’s our promise. We’re proud to have provided painting services throughout Loveland and Northern Colorado for the past two decades, and we’d be ecstatic to work on your home. get in touch with us if you have any questions, or you can get a free quote for your project while you’re on our site. The outside of your home is its first impression for guests. As such, a clean coat of paint can make your home pop out among all the other homes in the neighborhood. Our painters are proud to provide exterior home painting services to revitalize the look of your home. If you’d like, we can work with you to settle on the ideal color for your home, and then we’ll get to work applying a few coats of paint to your home and its trim. When Does Your Home’s Exterior Need a New Coat? Most often, folks know when their home could use a paint job. Your home may look outdated, and it might have faded colors and chipped paint. Or perhaps you’ve just bought your home, and you’d like to give it your own personal touch. Maybe you’re selling your home, and you know that a fresh coat will boost the curb appeal of your abode. Regardless of the reason for your exterior painting needs, we’re here to help. Count on Horner Painting to give your home that warm, inviting look. It’s our goal to make painting as simple and understandable as possible for our patrons. First of all, we’ll give you a free estimate for your project, and we’ll make sure that you understand our warranty and the services that we’ll be providing for your home. Then, we’ll get to work. We power wash all exterior surfaces before we paint, ensuring that these surfaces are prepared to adhere to a new coat of paint. We’ll also fix holes, apply caulking as necessary, scrape off loose paint, and perform any other tasks necessary to prep your home’s exterior before we pull out the paint. Next, we’ll prime your home — we hand-prime areas that are prone to chipping, ensuring that your home has full coverage and protection. 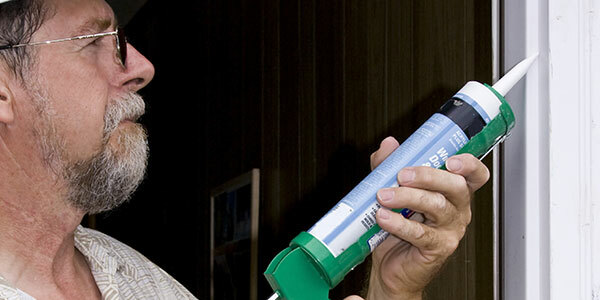 We use Prime RX to fix the areas around your home that are failing. Once all surfaces are prepped, we’ll apply your paint; we wet-spray most surfaces to provide a consistent coat and quick coverage. Finally, once all of your paint has dried, we’ll perform a final inspection, and then we’ll restore your property to the condition it was in before we started painting. Properly painting your trim is as important as any other detail on your home. We take care to paint trim to make it uniform and perfectly defined against the rest of your home. We recognize that your home’s trim makes the rest of your home pop, so we do our utmost to make your trim pristine. Horner Painting has provided exterior home painting services in Loveland and Northern Colorado for the past two decades. We’re proud to be the local painting company that folks trust here on the Front Range. Count on us for your next project. You won’t be disappointed. We back all of our exterior home painting projects with a five-year comprehensive warranty, so you can rest assured that your home will look its best for years to come. If you’re ready to enlighten the look of your home give us a call, or get a free estimate while you’re here. Color matching can be tricky, even a slight change in the shade or color of your paint can make your wall two-toned, when you want perfect consistency. That’s why it’s crucial to leave color matching to the pros. We’ll match your home’s current paint colors perfectly, so that your walls are uniform once again. If you have a wall with imperfections, it can be an eyesore. Often, walls get damaged or discolored over the years. Plus, you can be left with holes in the wall, bare patches of drywall left behind an old fixture, or just a bad paint job. When you have mismatching surfaces, we can color match your current paint so that you won’t even notice there’s a fresh coat. We utilize a paint sample from your surface in order to color match your paint. Once we have a small sample of your current paint, we work with a professional paint mixer who utilizes a machine that accurately analyzes the paint sample and then mixes paint colors and tones to match your current coat precisely. When it comes to color matching, precision is everything. If you aren’t convinced that we have a perfect match, we’ll get new paint until we get it right. Here at Horner Painting, we value customer satisfaction. That’s why we back all of our projects with a comprehensive five-year warranty. We’ll do our utmost to ensure that you’re satisfied with our efforts. We’ve proudly provided painting services here in Loveland for the last two decades, and we’d be elated to earn your business. Get started by getting in touch with us, or get a free estimate for your painting project online. Drywall gets damaged. 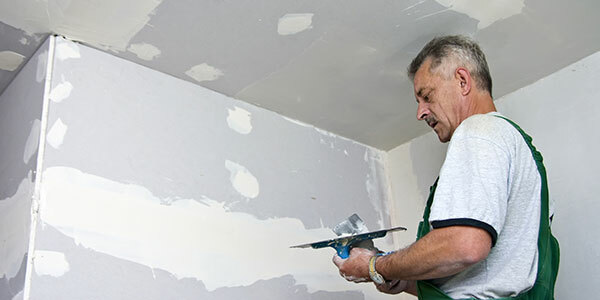 Fortunately, we provide drywall repair services alongside our painting services. If you have a wall with a hole or a dent, we can patch it before we give it a fresh coat of paint. 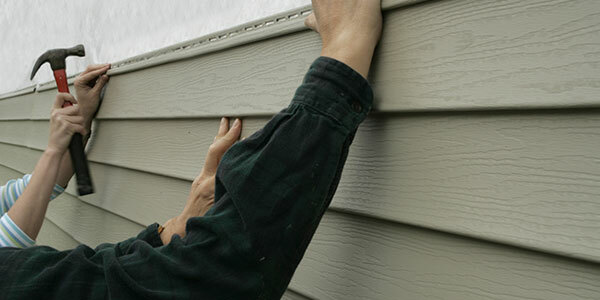 Pair our exterior painting services with siding replacement and removal. Sometimes, sections of siding can weather or warp, leaving your home’s surface imperfect. In most cases, we can remove and replace bad siding, so that your home looks uniform once again. When every surface on your property could use a fresh coat of paint, you can count on Horner. 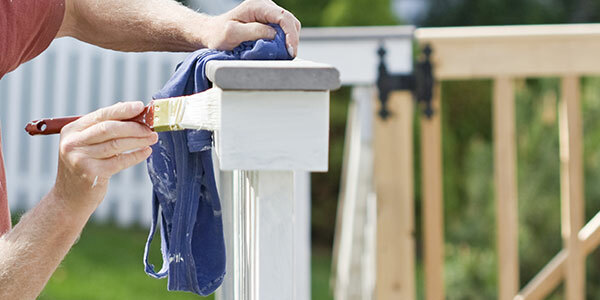 We provide fence and railing painting services in addition to our exterior and interior home painting services. Protect the envelope of your home with our caulking and glazing services. If you have old caulking that’s cracked or falling off of your home, then you could have leaks, and you could have a higher energy bill. Don’t just revitalize the look of your home. Take care of that deck while you’re at it. 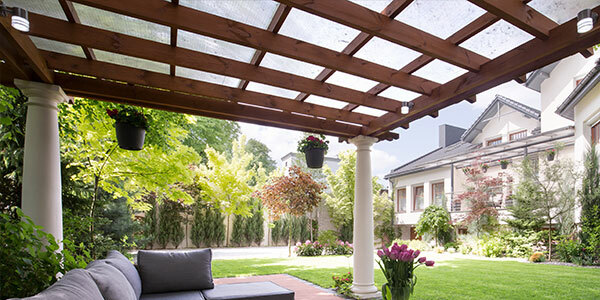 We provide deck finishing and painting services, and we can take care of your patio cover too. Your home will look as good as it did the day it was built. 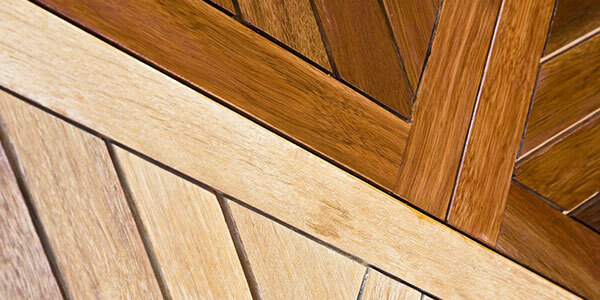 When it comes to the wood surfaces around your home, we can apply a varnish or clear coat to give them new life. Resealing these surfaces adds extra protection from weathering and sunlight. Plus, it looks great! Power washing can go a long way to bring beauty back to your home. We power wash all sorts of surfaces, including siding, driveways, decks, and more. 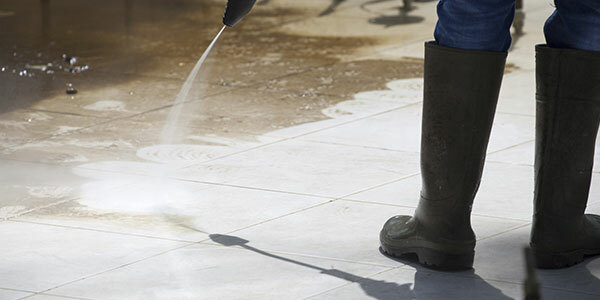 Get rid of mold and grime without damaging your surfaces with power washing from Horner. 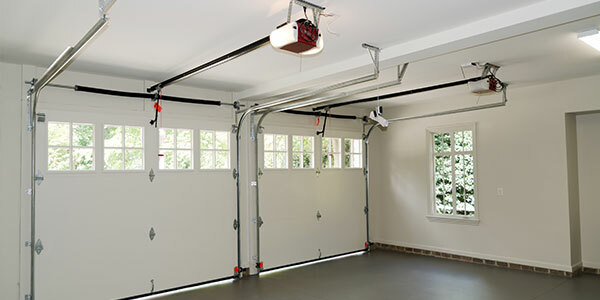 Have a detached garage? Or a new, finished basement? Maybe you have a tool shed that could use a new coat of paint. We can paint them all. Count on Horner Painting for all of the surfaces throughout your property. We provide trim painting for both interior and exterior trim. We understand that the trim around your home is its accent. Plus it might get more attention than other surfaces. 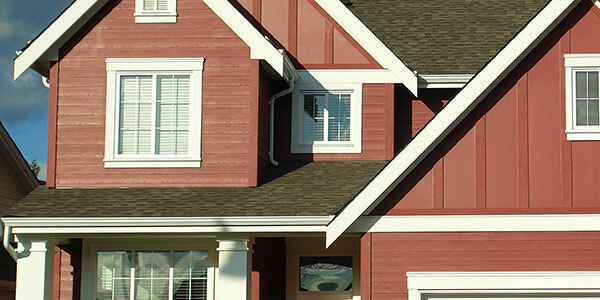 We ensure that your trim is painted with clean, straight lines. It’s our goal to ensure that you’re completely satisfied with our services — from your overall experience to the smallest detail. Again, that’s why we provide our comprehensive five-year warranty. We treat your property as if it were our own. We’re careful with your furniture and belongings, and we take care to provide the same, high-quality painting we would perform in our own homes. As we’ve mentioned, we’ve been the Front Range’s source for painting services for two decades. And we’re proud to be a trusted household name here in Loveland. If you’re ready to get started with our painting services, or any of our other services, don’t hesitate to get in touch with us, or fill our our online form for a free estimate on your project.